The GST provision, requiring transporters to carry an e-way bill when moving goods between states, was implemented to check rampant tax evasion. New Delhi: The government today said the re-introduction of the e-way bill system under GST has been "very successful" with no technical glitches. The GST provision, requiring transporters to carry an electronic waybill or e-way bill when moving goods between states, was implemented from Sunday to check rampant tax evasion and boost revenues. "E-way rollout has been very successful and so far there has been no glitches. Although they took two months to perfect... But at this rate I hope very soon we will be able to roll out intra-state," Finance Secretary Hasmukh Adhia said. On the first day, 2.59 lakh e-way bills were generated and another 2.89 lakh were generated till 1600 hours today, GST-Network Chairman Ajay Bhushan Pandey told reporters here. When the e-way bill was first introduced in February 1, the systems had collapsed, following which its implementation was deferred. The GST Council last month decided on April 1 as the implementation date. The system has capacity to take more load and there are technical teams working on this to ensure that the e-way bill works smoothly, said Mr Adhia, who is also the Revenue Secretary. Asked about reports which states that officials are not checking e-way bill from transporters, Mr Adhia said, "People will take some time to adjust but over a period the authorities will start checking the trucks. They will have to because if people are not carrying e-way bill, then it's not fair". 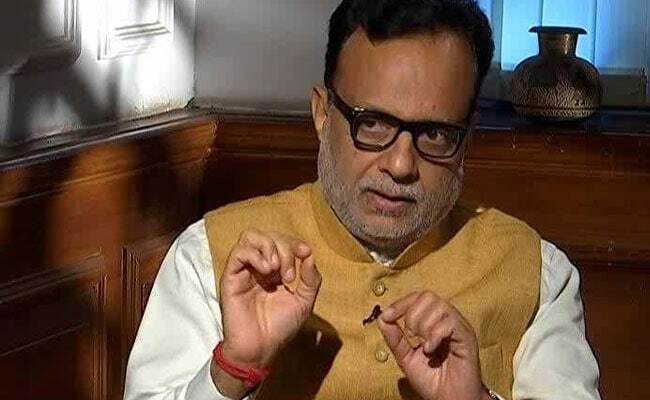 Mr Adhia said without e-way bill, there are chances of tax evasion and honest taxpayers feel they are at a disadvantage compared to those people who are evading the taxes. "We hope others will fall in line and generate e-way bill to do this. If they don't do it, there is a penalty provision for that," he said. Mr Adhia said the schedule for roll out of e-way bill for intra-state movement of goods will be announced after a week. "After a week of smooth rollout, we will announce the first set of states where intra-state will come from April 15. Then, one week after that another group of states will be announced, that way there will be gradual introduction of intra-state e-way bill," he said. Mr Adhia said Rs 89,264 crore revenue has come in from GST for the month of February, taking the total GST collection for the full fiscal to Rs 7,17,638 crore. This would be divided between the Centre and states. Asked if the government has met the estimated collection from GST as given in revised estimates, Mr Adhia said 98 per cent of the target has been met so far. The estimated collection for 8 months (July-February) of the current fiscal is Rs 4.44 lakh crore. The March collection will take place in April, the start of new financial year, 2018-19. Mr Adhia said the GST revenues will pick up further as we have more compliance requirements coming into being particularly e-way bill. "Various authorities are now getting a grip on who all are filing, who all are not paying taxes. So, we will be able to discover more of such people who are collecting GST and not paying taxes to government. Recently the DG GSTI has detected Rs 200 crore of such fraud taking place where they have collected the GST and not paid," he said. The government has budgeted about Rs 7.44 lakh crore from GST in the 2018-19 fiscal beginning April 1. The Directorate General of GST Intelligence (DGGSTI) is the body responsible for detecting tax evasion under Goods and Services Tax (GST) regime. Besides, the government has sanctioned GST refunds to exporters to the tune of Rs 17,616 crore. Of this, Rs 9,604 crore is on account of Integrated GST refund and another Rs 5,510 crore on account of refund on input credit. Besides, another Rs 34,000 crore has been refunded on account of duty drawback and Rebate of State Levies (ROSL). Chairman of GSTN, the company handling the IT backbone, further said 1.09 crore businesses are registered under the GST and 5.29 crore GSTR-3B returns have been filed so far. Pandey said based on the data of challan and invoice processing as well as tax collection, "we can fairly say that the system has stabilised".